Please note that we do not have any Private Lake Membership openings at this time. If you have ever had the opportunity to ride on perfect water or be the only boat on the lake, you know how amazing a private lake experience can be. Away from the crowds, away from the noise, and away from the typical chaos and rough water, a private lake is a VERY special thing. Compound this with limited recreational water opportunities in Colorado and a very active boating community and you’ll understand why this is the largest segment of our company. As part of our core business, we spend an enormous amount of time each year searching out new private lakes, negotiating with various land and water owners, and attempting to secure new opportunities. New lakes are not easy to acquire nor does it happen quickly. Many take months or even years to secure. If and when we do secure new lakes, we spend additional time interviewing member candidates to ensure a lasting membership. This also takes time, but we take great pride in doing this well. We rarely have turnover. Most members end up becoming great friends and their kids grow up shredding together. As always, we are working on multiple opportunities. If you would like to keep current on new lakes or new openings as they happen, we recommend signing up for our newsletter and following us on social media. We do maintain a 100+ person waitlist but most often, to make it fair, we post in our newsletter and on social media first, and then interview candidates from there. Each lake is slightly different so this is just an outline to give you an idea of how our lakes work. Watercraft: If you have a membership and your buddy has a brand new ride you are dying to try out, that’s okay with us, as long as the boat or jet-ski or other watercraft is properly insured by our standards, and goes through our process for admission to the lake(s). All of our lakes have a very strict Zebra Mussel policy. Be aware of this before joining any of our lakes. Size and Location: Our lakes are in different parts of the Front Range and we like to keep the locations on a need to know basis. This keeps our owners and members happy. 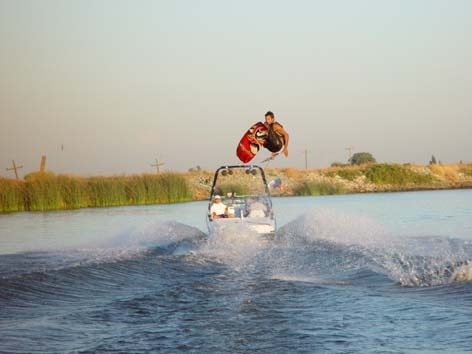 🙂 All lakes are at least 2200′ long (5-6 tricks on a wakeboard) and operate on a 20-minute rotational basis, or on any given day, however the members present choose to take turns. The key here is that only one boat moves at a time so everyone enjoys perfect water. Lake Schedule: Lakes are typically closed to the membership a portion of each Monday-Thursday for the exclusive use of MHW. Should MHW staff not be present (which is more often than not the case – as we do have several lakes) the lake is open for normal use. We are also the 7th member at any given lake. Friday-Sunday and All Holidays (and Days in between Holidays and Weekend) – Are Always Open to Members. Again, if MHW staff are not present to use the lake during periods that are closed to members, the lake is open for normal use. (Members will most often text or email us to see if we are using a particular lake that day.) These hours are set up this way to maximize member use around the weekends, holidays, and overnight camping, and allow our team and staff to teach, ride, or play in privacy. Cost: Memberships are up to $5000 for the first year, and up to $3500 for each additional year. Shared memberships are allowed for up to a $1000 fee, but only count as one (1) membership for rotational purposes. Members may purchase up to two (2) full memberships. Credit card payments are allowed with a small fee to cover the merchant charges. First year costs are usually based on the improvements needed, and are on a case by case basis. Camping: Overnight Tent and/or RV camping and summer/winter storage is most often permitted, on a case by case basis. Obstacles: Slalom courses, wakeboard sliders and features, personal docks, and other obstacles are most often permitted as long as they are not in or restrict the main path of boat and skier/rider travel or landing zones. -Any lake membership may be terminated, revoked or suspended by MHW at any time with or without reason, without a refund. Do not break the rules. 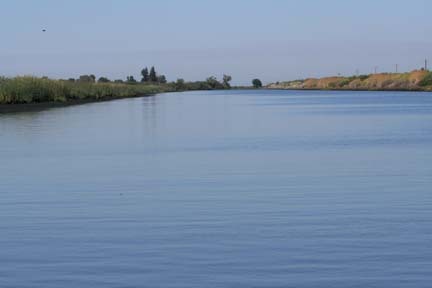 -Members shall take extreme precautions to ensure that zero contaminants of any kind, including but not limited to, Zebra and Quagga Mussels, noxious water weeds, milfoil, etc. are introduced into the lake. -Always observe a 10mph, no dust (no kidding) speed limit while entering and on property. Always be on the lookout for children, animals, and pets. -No smoking of any kind on the property or near the property. Not even on your watercraft or in your vehicle. -Use common sense. If you or your guests do anything that merits a Land or Lake Owner to complain to MHW for any reason, it will most likely end up with the member receiving, at minimum, a warning. -Lake locations and lock combinations are need-to-know only. Lake membership benefits: With MHW operating the lake, there are bound to be countless, secret visits from pros, significant discounts on equipment, the latest and greatest boat, or even private cable systems.